An efficient workflow is crucial to any business especially travel. Without a clear coporate travel workflow, you’ll experience frustration and delays, instead of a seamless and stress-free booking process. Not all workflows are created equal. Here are a few features of an optimum booking workflow. 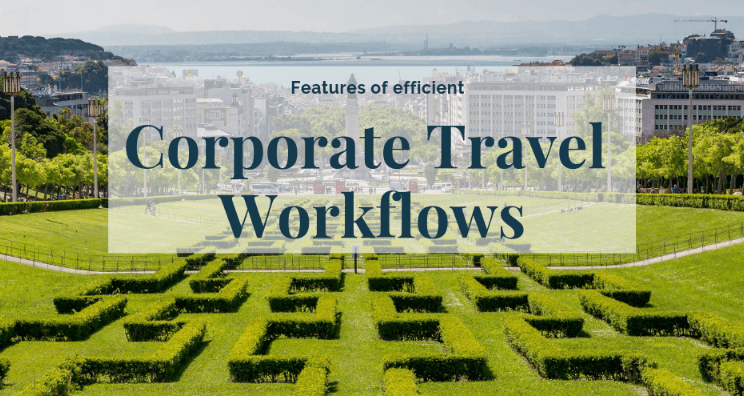 While every organisation is different, the best corporate travel workflows share a few common features. In corporate travel, it’s common for delays to occur while waiting for booking approvals. To speed up the process, you’ll need to set up associations with clear responsibilities. This is the cornerstone of an efficient workflow. It should be one of the first things you do. Once the travellers, arrangers and approvers are set up, you can largely automate the approvals and booking process. Besides that, it’s important that everyone knows what they can or can’t book. This is where the corporate travel policy comes in handy. A great online booking tool (OBT) will allow you to set up as many layers of travel policy as you need. Centralised communication is another feature of an efficient corporate travel workflow. The OBT should contain a record of all communication regarding travel bookings. This means that if an itinerary is declined, the reason can be provided in the system. When there is a centralised communication system it saves going back and forth and keeps everyone in the loop. If you have a complaint or a question, you won’t have to have the same conversation with multiple people. This makes for greater transparency and clarity, not to mention faster resolution of problems. Without a clearly mapped workflow it’s very difficult to manage your corporate travel effectively. If you’re thinking about engaging a TMC, make sure they have a clear, effective workflow mapped out. Many TMCs take a one-size fits all approach to their client workflows, so look for one that’s flexible and adaptable to your needs. If you’re looking to streamline your corporate travel procurement, talk to us about how we can help make the booking process faster, more efficient and cost-effective.